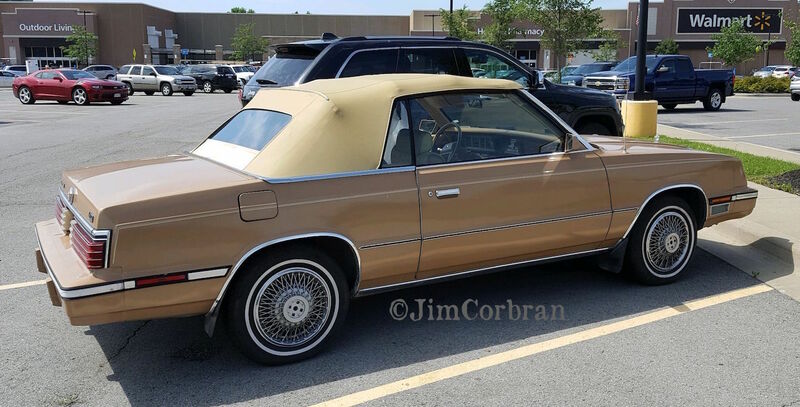 Our newest RealRides photographer, my wife Tracy, snapped this photo showing a 1984/5 Chrysler LeBaron in North Tonawanda during a recent shopping trip. Wasn’t much of a difference between the 1984 and 1985 models; the ‘83s didn’t have the wraparound taillights which we see here, and the ’86 models had taillights which were rounded-off at the outside edges. When the ’87 models were introduced they’d had a complete restyle. This gold example still looks pretty much intact, except for the missing wheel cover centers.